2. taking the turban trend to a whole new level. And probably not in a good way. Oh the irony. When is someone gonna make a GainWeightFast? Because I WILL buy it. there should definitely be a GainWeight Pill..
My roommate drinks meal replacement shakes WITH her meals to gain weight instead of actually replacing the meal with the shake to lose weight. Her doctor recommended it, and hey, why not drink an extra chocolate shake once or twice a day, right? Especially if it's a nutritionally dense chocolate shake. I must say after reading your older post that "trainer boy" could have been a "bit" more tactful. But, that said, I would really love to burn 1600 calories just by breathing. That's more than I can eat in a day...fighting to lose baby weight is an ongoing battle...and now that I have past the age of 30 and my metabolism has more or less stopped...I have a feeling that I'll be fighting it for the rest of my life. ha! Fooled little ol me—quite the resourceful little lady! Love that scarf too. p.s. STILL can't find my leather jacket from that day. I'm crying a little bit inside. You are so creative with your outfits--and they always work so well! Oh, and love the new do! Second of all, and my main reason for stopping by for the hundred zillionth time this week, YOU'VE BEEN POSTED!!! Hope you have a *wonderful* day like always! I have a skirt that I've always wanted to wear as a shirt but haven't been quite bold enough. I dunno if it would work b/c it's more flowy, but maybe I'll give it a try. That's amazing about the skirt! This outfit is great. This is going to sound completely corny - but all of your posts make me smile! You look so happy and that makes me happy! Very creative Syd, love the outfit! I'm so glad I'm not the only person on this planet hoping to find a weight-gain-shake...or something. I feel like I've tried everything (but of course I haven't). You know one thing that helped me gain weight, no joke here... In addition to eating breakfast, lunch and dinner and all the snacks in between, I've added a new snack to my diet. Apple+peanut butter everyday = a 9lbs heavier Lilly. Oh yea, 9lbs baby lol. That is seriously the only thing that changed in my diet (well my husband is an awesome cook too). You can also try drinking a Carnation Breakfast shake after a meal(pre-made ones taste AWESOME). But I still need to gain 7-10lbs IMO. So I totally know what you mean. That IS taking remixing to a whole new level. Seriously impressed. you're hair looks really cute :)...but just curious..why is looking like an Arab on your bucket list? good for you for not letting someone get to you! keep being strong girl! They are just jealous! I know I am! With your cute outfit today and having yummy white snow! <3 today was the first flurries in nj this year! you are so creative with your outfits and you work those cowls so well! I have worn a skirt as a dress before but never a shirt. Great idea!!!! this skirt goes so well as a shirt! !i did take remixing to a whole other level, but it's very creative and definitely works! Eeeep!! You are so darn cute!! Also, I have SOOOOO worn skirts as tops!! I once bought a LONG skirt, chopped it and hemmed it and made it into a short dress. So cute!! I love the crazy combos people come up with during this challenge; your skirt as a shirt is genius! Also I've been loving all of your cowl scarves...I have to get myself one; they look so cozy! Love your hairstyle, and your outfit is so creative! Two really great looks!! I had no clue that top was a skirt until I scrolled all the way down and saw the other post too. Love!! Perhaps you mean Muslim. Not all of us Arabs cover our heads. LOL I did the Slim Fast diet and it does work ... haha funny story! ... Love the look can't beliee that's you're skirt you're wearing! Skirt as a top? Why not. You rock it. 2. Genius idea to wear a skirt as a shirt. 3. I covet one of those cozy cowls! I want your problem of not being able to gain weight fast. Really. I want it. :) Actually, I'm okay with my body. Just in the process of getting all the baby weight off. I love that you doubled your skirt as a shirt. Such a good idea and it looks so cute! This outfit is perfection. I wish I had to buy GainWeightFast haha. Love the fact that you want to be mistaken for an Arab and that you changed your skirt into a top. Ingenious yes! i absolutely love this outfit! that jacket is gorgeous and I love the reinvention of the skirt! I need to get my hands on a skirt like that! My local Forever 21 is slacking biiig time! Did you get it online? ps: I love ALL of your outfits! So creative! rock it. i once wore my (longer) skirt as a dress. got more compliments than when i wore it as a skirt! Genius! I love all the colors together here! They work so well together! Great idea to turn the skirt into a top! I need to do that myself. Also, completely forgot to tell you that I posted about you in my 5 new favorite blogs to read after Thanksgiving. Go check it out! Love this outfit! Cowls are so cozy and keep me so warm. The colors in this outfit remind me of rustic metal. Random. I know. A friend once mentioned to me that it's just as rude to call someone skinny as it is fat. I agree. My friend is 5'3 and 106 lbs and has been trying for about 6 months to be at least 110 and she's failing. she got to 108 one day but slipped back down. (I think that is similar to your height and weight if I remember correctly.) People often tell us "you need to eat a cheeseburger" or something like that. I want to know how to gain weight and still be healthy? Any ideas? And I am glad I snagged you as a model before you got big and famous! ;) I looove Chaucee's work! Hope you are enjoying the beautiful snow and get to go sledding with your hubbs! cute outfit!!! the cowl and those boots are great. the skirt as a shirt, super creative! love it. Skirt as a top? I love it. Sometimes I mix it up like that, but I'm always afraid of telling people! Oh the irony of weight gain... I hope it's going okay! I had the weight gain issue too... I weigh 15 more pounds now. I think I'm healthier, but the irony is, sometimes I feel TOO big even though I'm still an Xs. Weird. I think "natural" must be different to each person...? I'm in love with that scarf! I will def be buying one soon. It looks perfect for the cold weather. You are adorable I love all of your outfits! but i thought your joke was funny! i'm north african (close enough to arab) and have never been mistaken for one so it's on my bucket list too. love the cowl, i'm all about the cowls lately. adorable outfit, very cool remix. I absolutely love that cowl. Great outfit as always! Hello! 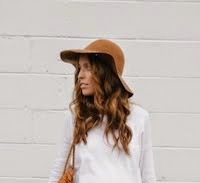 I just stumbled upon your blog and have got to say you are so adorable and have KILLER style girl! ;) Chaucee's scarf looks amazing on you! Super impressed with your skirt-as-shirt concept... If you can rock that, then surely I can rock red pumps with black tights? Yep, I'm busting those out tomorrow for sure. Just to add some perspective to the weight gain topic... since Syd can't burp it makes it a lot harder to eat a lot. I have the same issue and I get very uncomfortablely full if I eat too fast and get trapped air. The eating 6 times a day has helped me a lot. Good luck on your quest for better health! I did that with my american apparel skirt too! I love it :) very cute! K first off- LOVE your blog. I do segments on Studio 5 here in Utah and I talked about the "high bun" someone comment on out fb page about your blog and that you had also talked about it. Thats when I started following and fell in LOVE with your outgoing personality and great sense of fashion! i know how you feel about gaining weight! i'm a whopping 98 lbs. and that's after giving birth to my first baby! You are so cool. Also, tutorial for this hair?? It's lovely! I love this outfit! It's simple, cute and I love the jacket/scarf combo! That cowl neck scarf looks so warm and cozy! I'm putting a scarf like that on my shopping list now that Kendi's challenge is over for me. woohoo - good luck on your last couple of days! I'm with you on the weight gain thing!! Ive been trying to gain weight ever since I got married. I'm pretty sure its my birth control. It takes away my appetite. Your gorgeous girl, forget all the haters!! You just can't please everyone. And unfortunately someone is always going to get mad or offended at everything. Keep up your sweet spirit! I love your blog!! And I love your outfits!! You always give me great and simple ideas about how to mix my clothes. Inspiration!! I think your look is super,beatiful, simple and très chic, but you can freeze to death!